This can be caused if a Payment Method in Acctivate is set to be a Credit Card, but that same Payment Method is not set to be a Credit Card in QuickBooks. To verify this, open Configuration Manager in Acctivate and browse to Sales Orders > Payment Method. Take note of the Payment Methods which are marked as a Credit Card type payment. 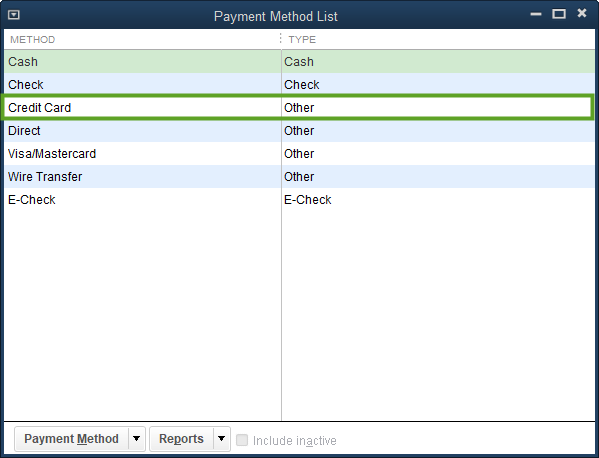 Next, open QuickBooks and take a look at the Payment Method List. Compare the Payment Methods between Acctivate and QuickBooks. If Acctivate shows a Payment Method which is set to be a Credit Card, but that Payment Method is not a Credit Card type in QuickBooks, you could run into those issues in the sync. If discrepancies are found, determine which is correct and set the other system to match. 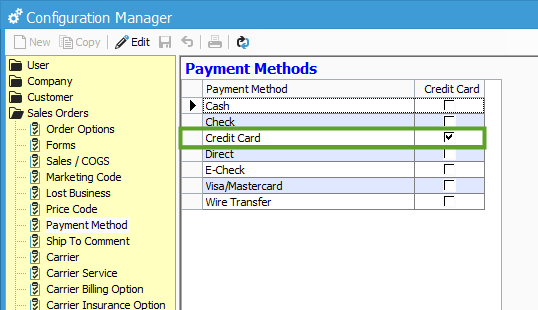 If the Payment Method in Acctivate is incorrectly set to be a Credit Card, click Edit in Configuration Manager, un-check the Credit Card box for that Payment Method, then click Save. 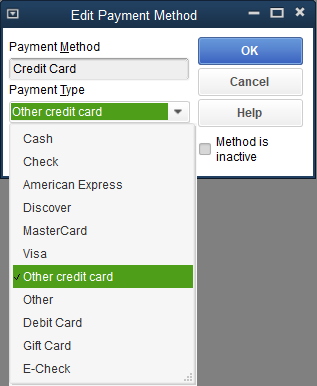 If the Payment Method is correctly set as a Credit Card in Acctivate, but is not set as a Credit Card in QuickBooks, double-click on the Payment Method in QuickBooks and change the Payment Type to be some kind of Credit Card, then click OK.